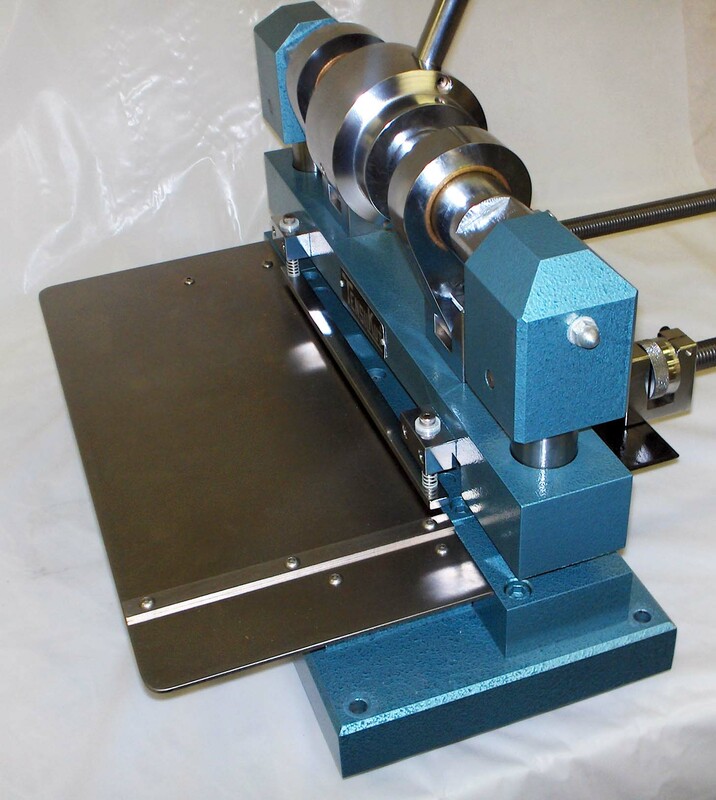 The Tensilshear is an easy way to cut strips from small sheets of metal, including aluminum, brass, steel, and even harder materials. 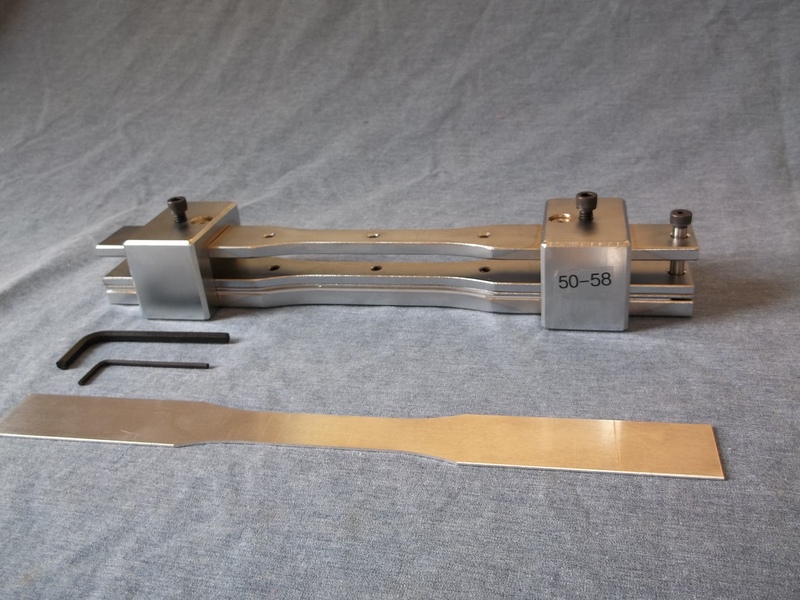 A pair of micrometer adjustments on the back move the stop to enable you to simply push your sheet of up to 10″ wide metal under the blade until it reaches the stop, make sure it’s firmly in place, and cut off a strip. 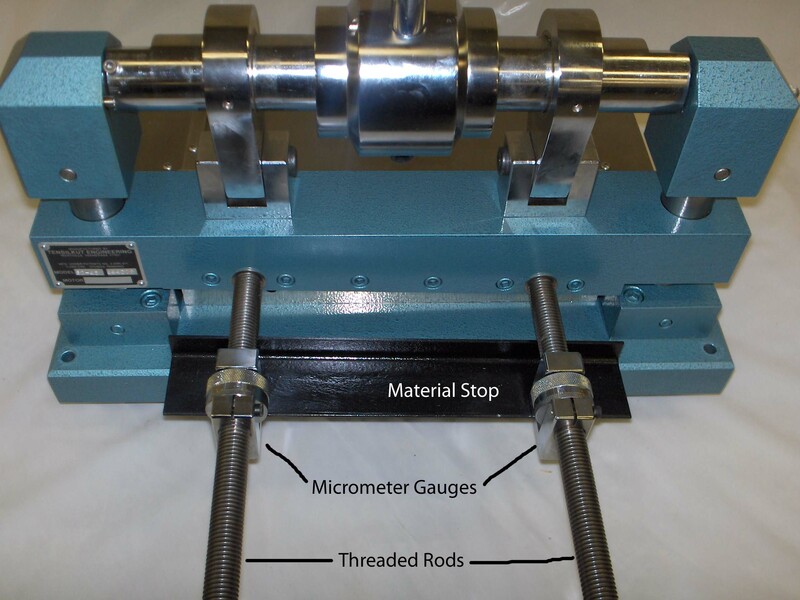 The process can be repeated for as many strips as you need. 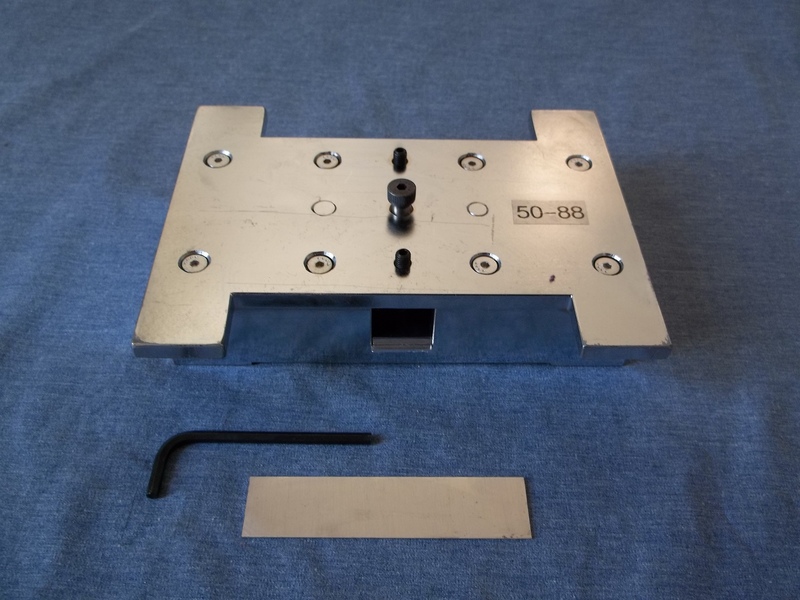 It is a compact, manually operated unit, requiring neither electrical nor air hookup to operate. 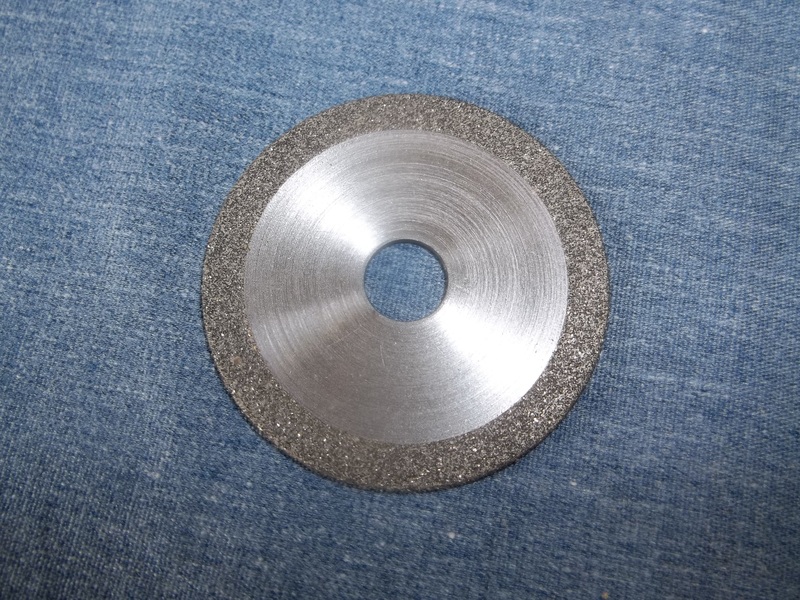 The Tensilshear will shear strips from 1/8″ (3mm) thick aluminum or materials of similar hardness, and up to 2mm thick steel. 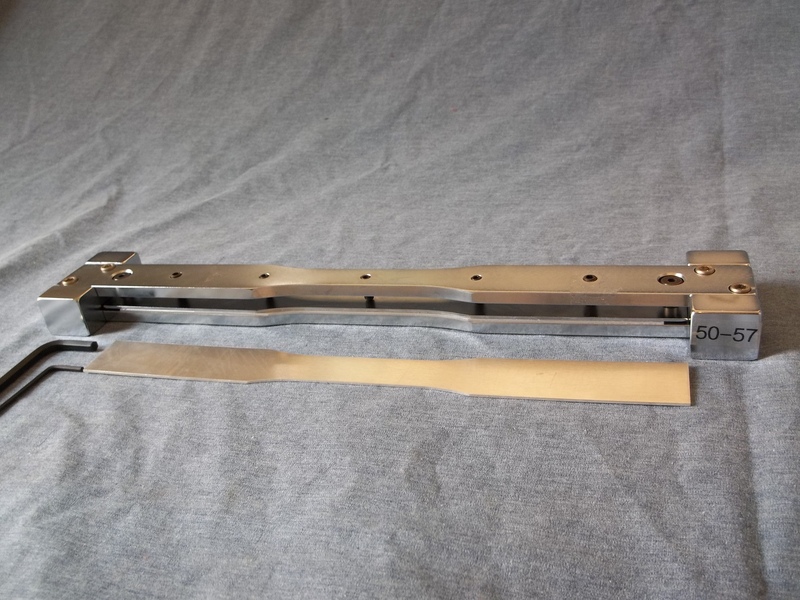 The hardened, precision ground blades are adjustable to eliminate virtually all edge burring problems. 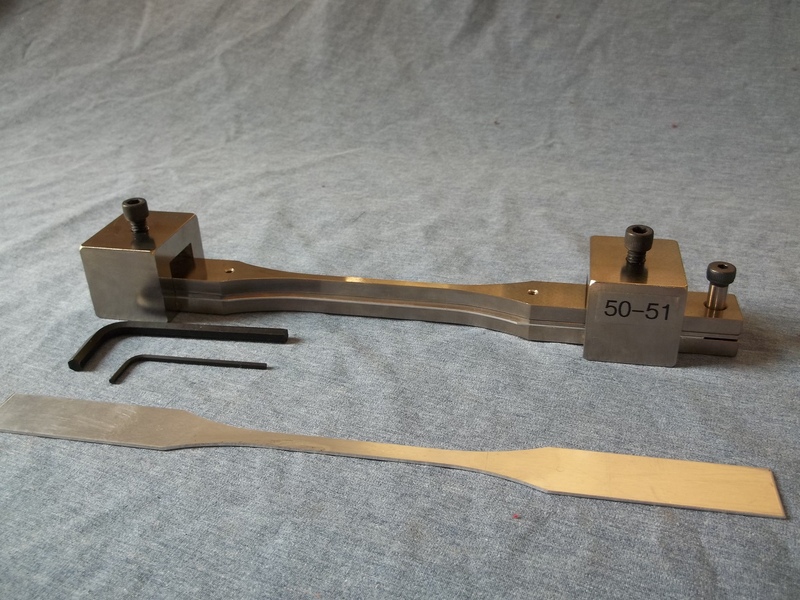 The video below shows the Tensilshear being used to shear strips from 2mm thick hardened steel. 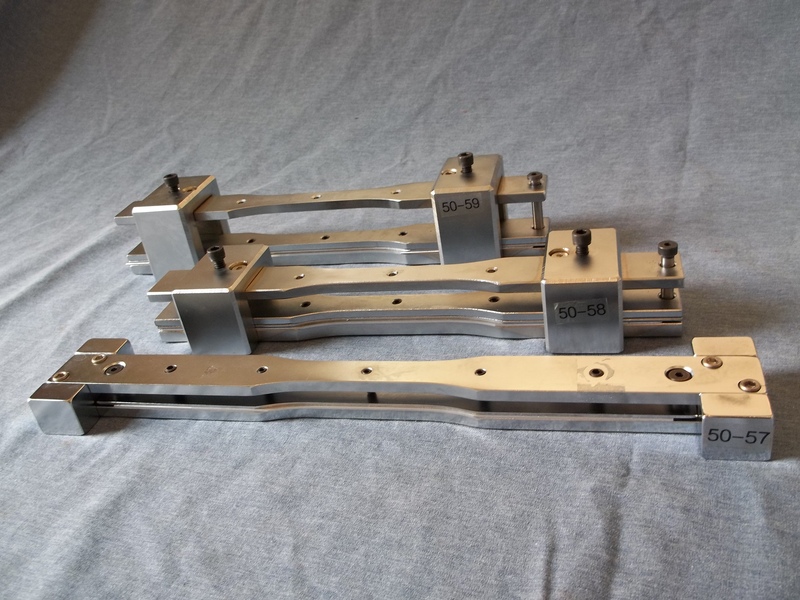 Visit our website or fill in the form below for more information or a quotation. 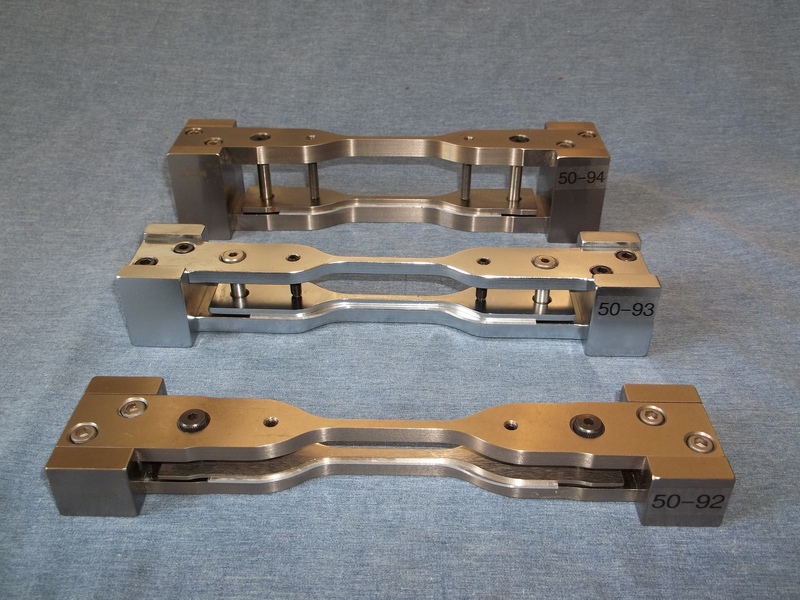 Tensilkut Master Templates 50-92, 50-93 and 50-94 for preparing rubber test specimens in accordance with ASTM D412 Die C: Available for use on Tensilkut I and Tensilkut II models. 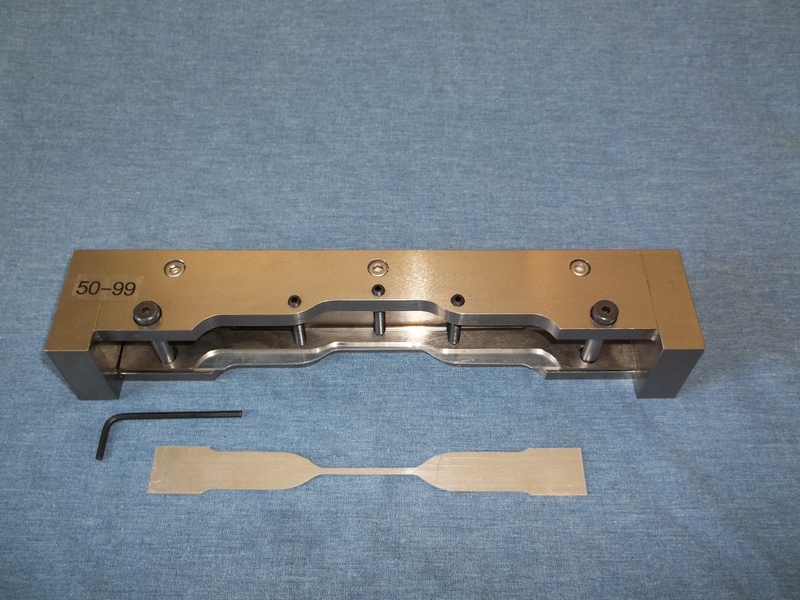 Preparing the ASTM D695 Specimen for compression testing is a two step process. 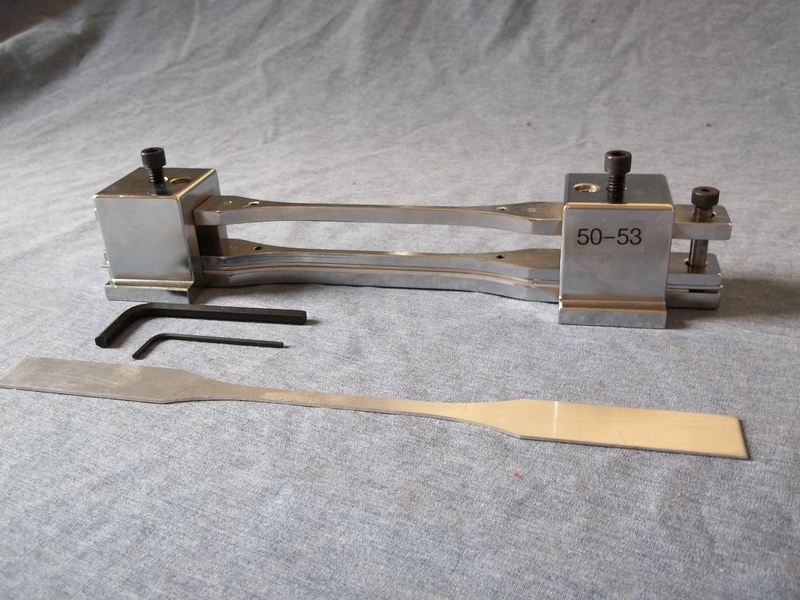 First, the gauge section must be cut in the blank, using one of the Tensilkut Master Templates designed specifically for this purpose. 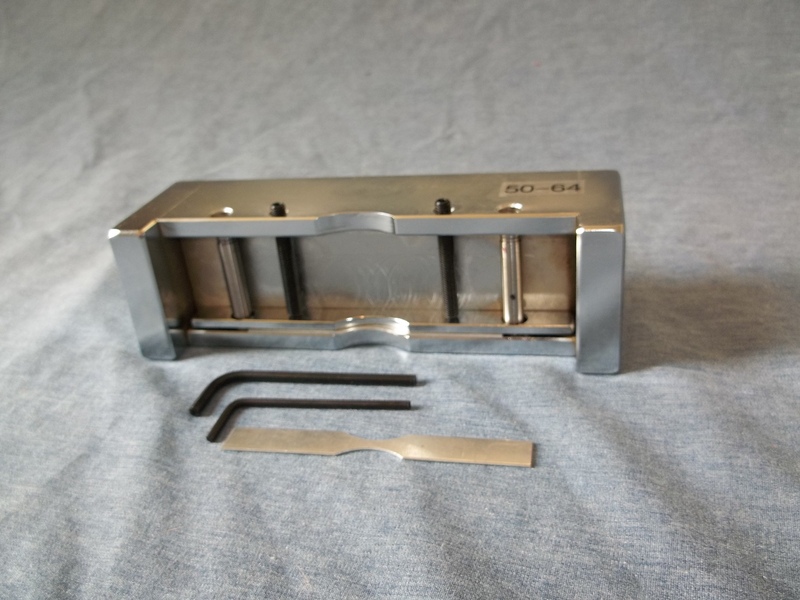 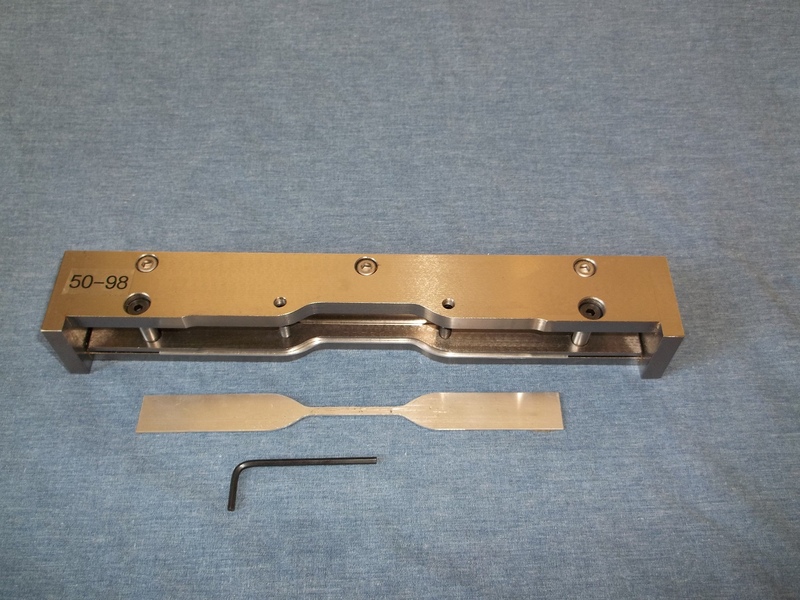 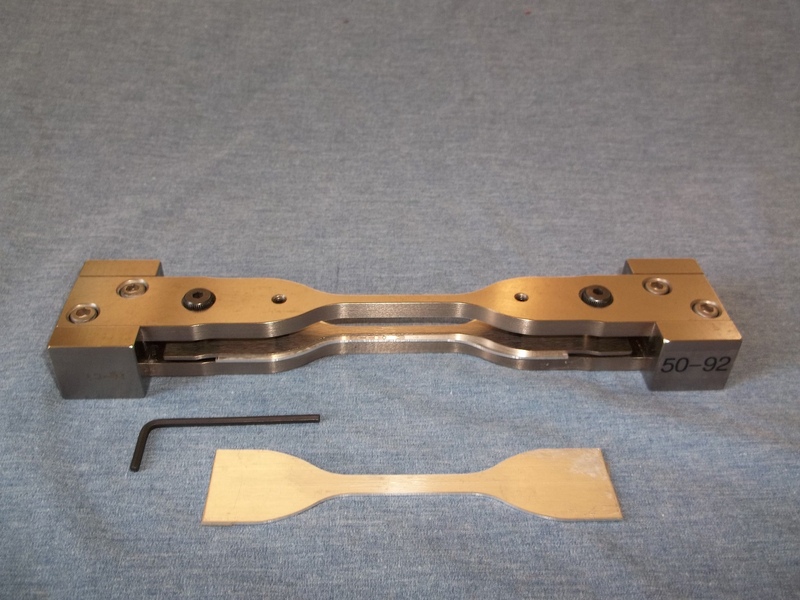 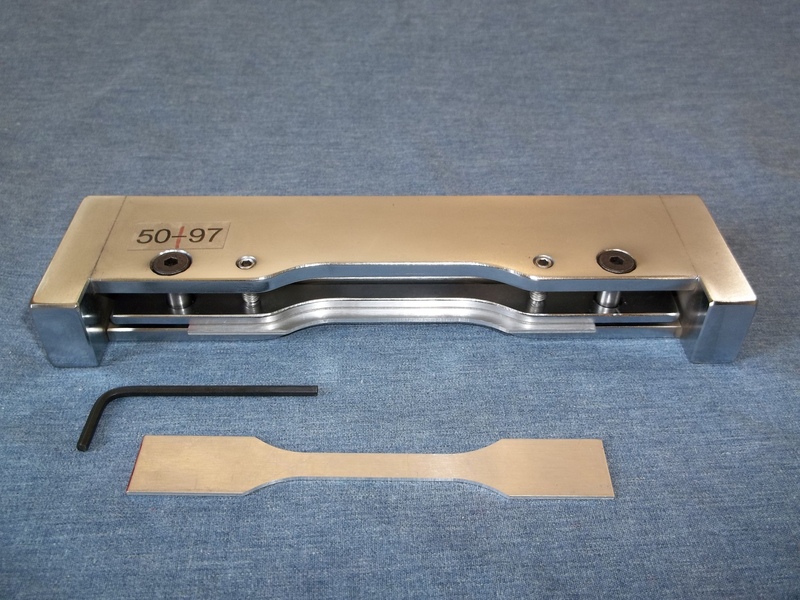 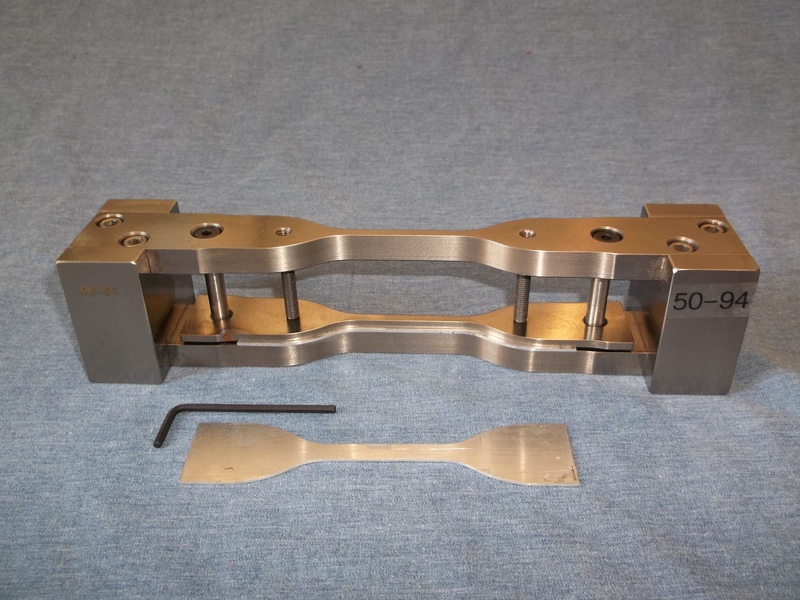 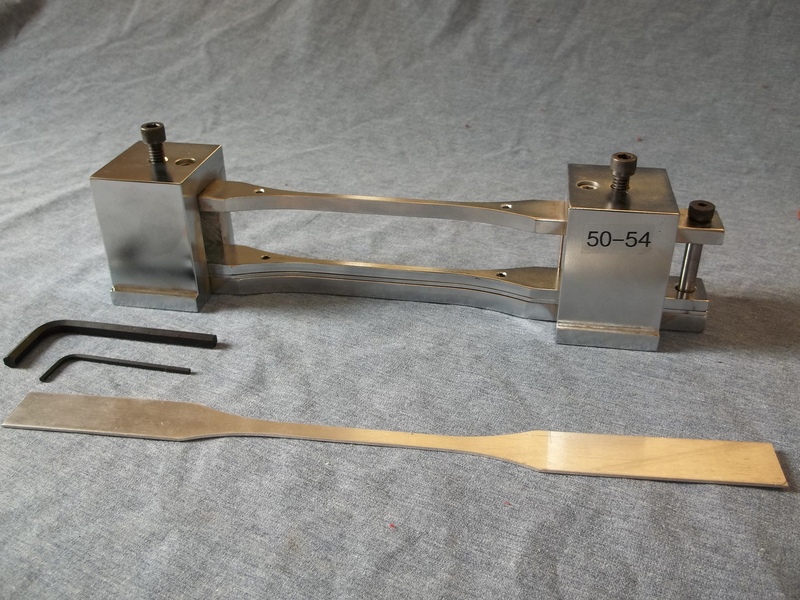 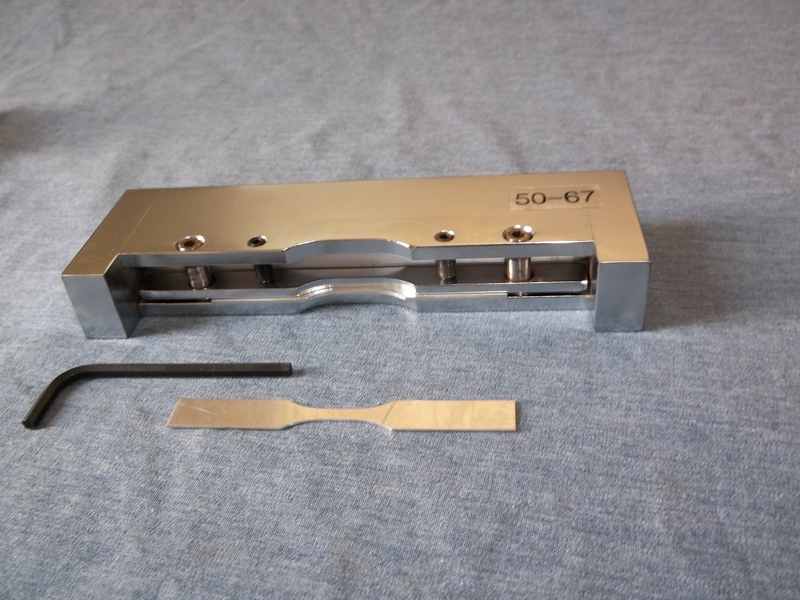 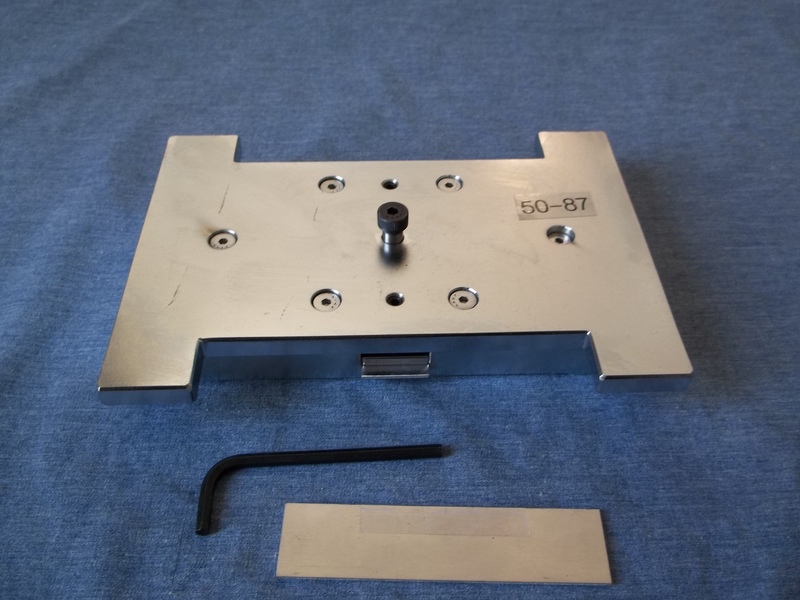 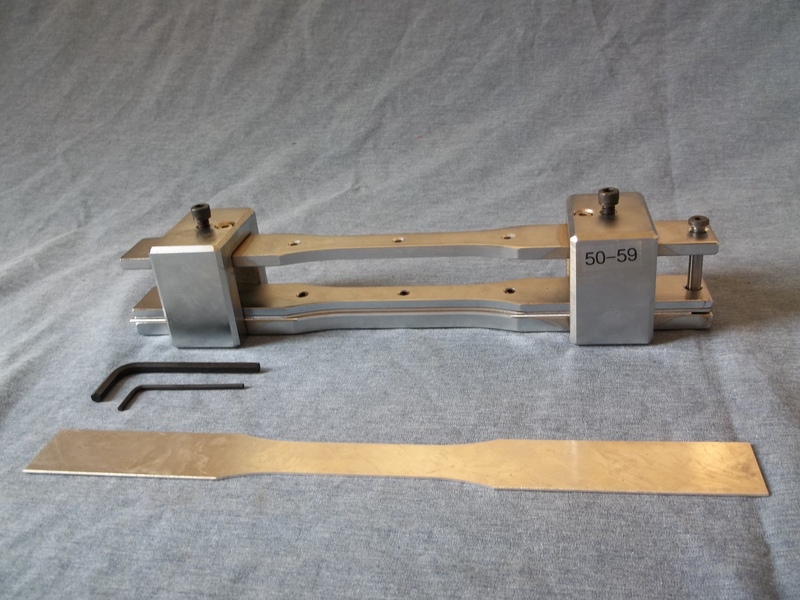 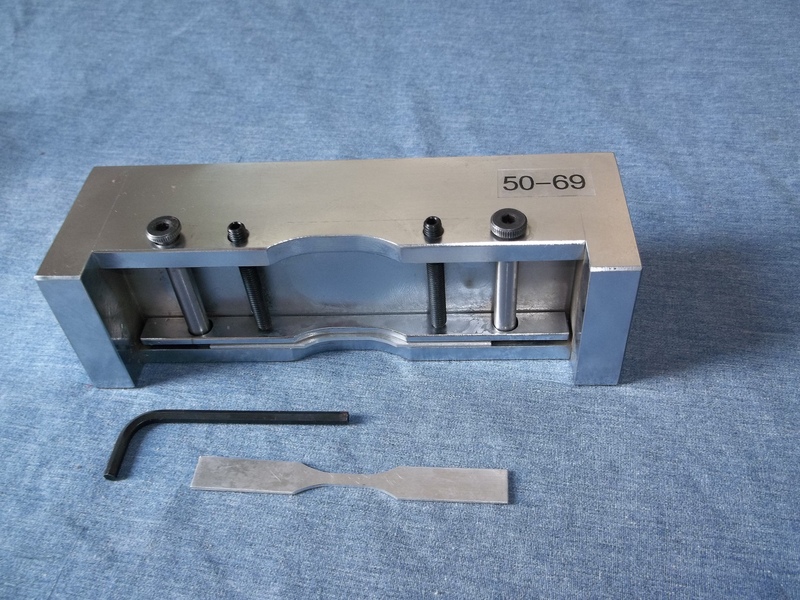 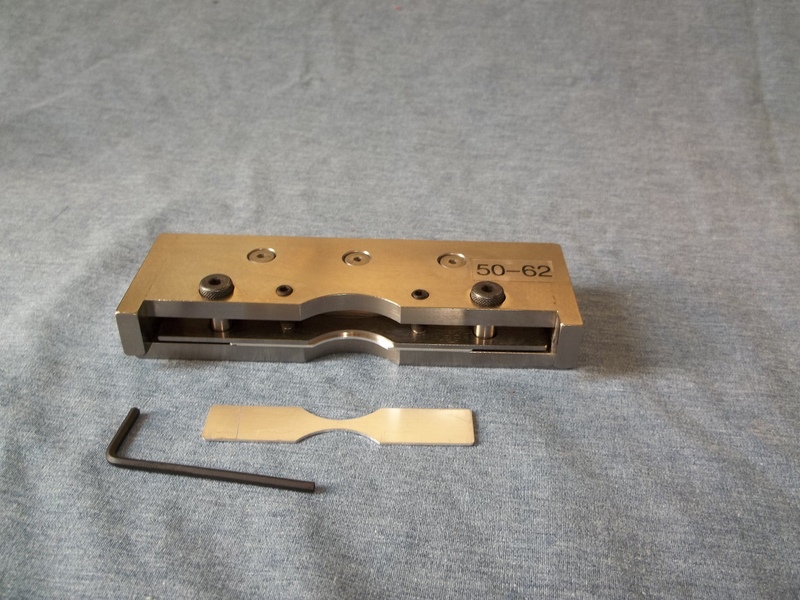 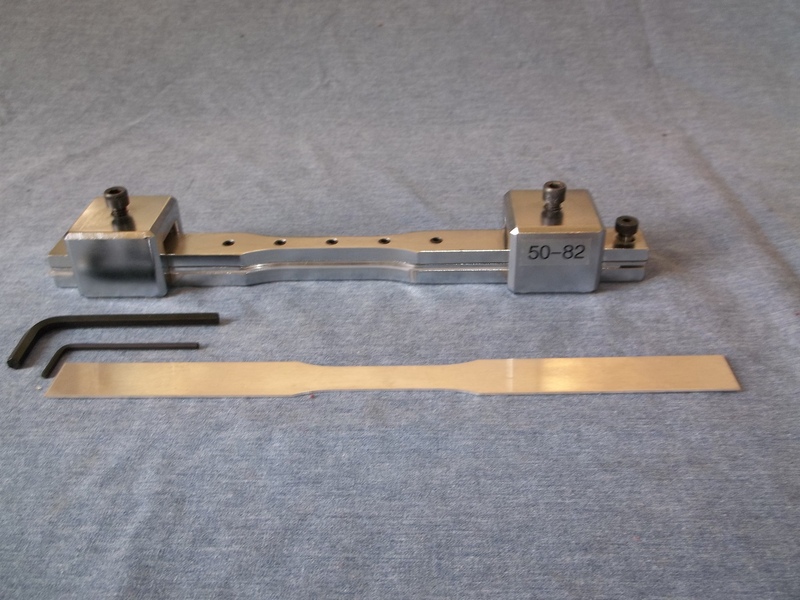 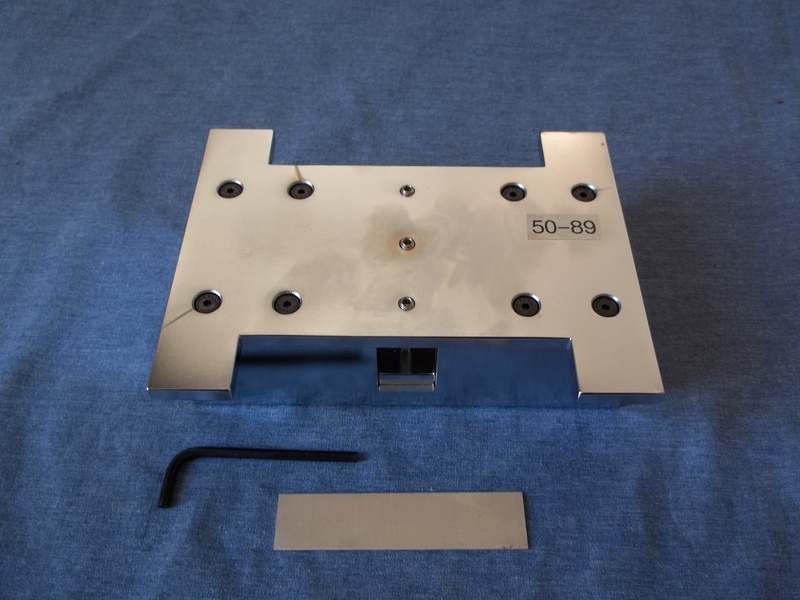 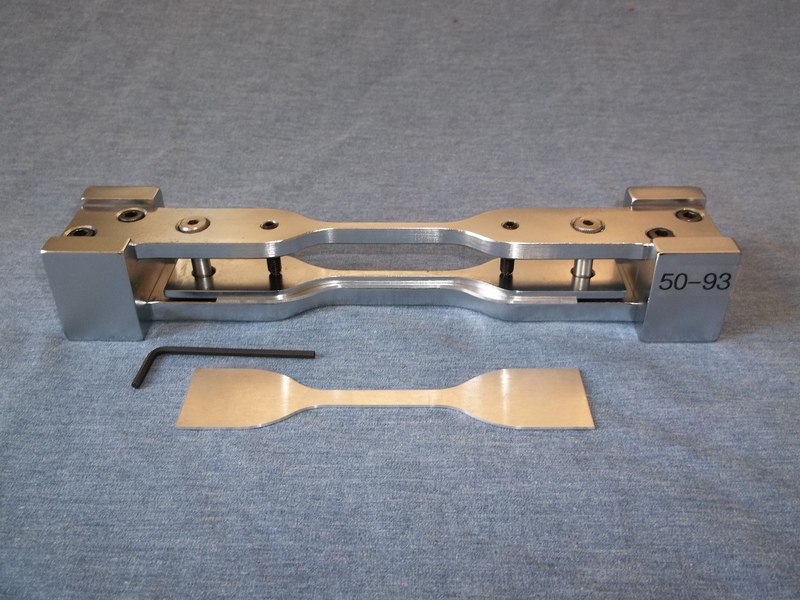 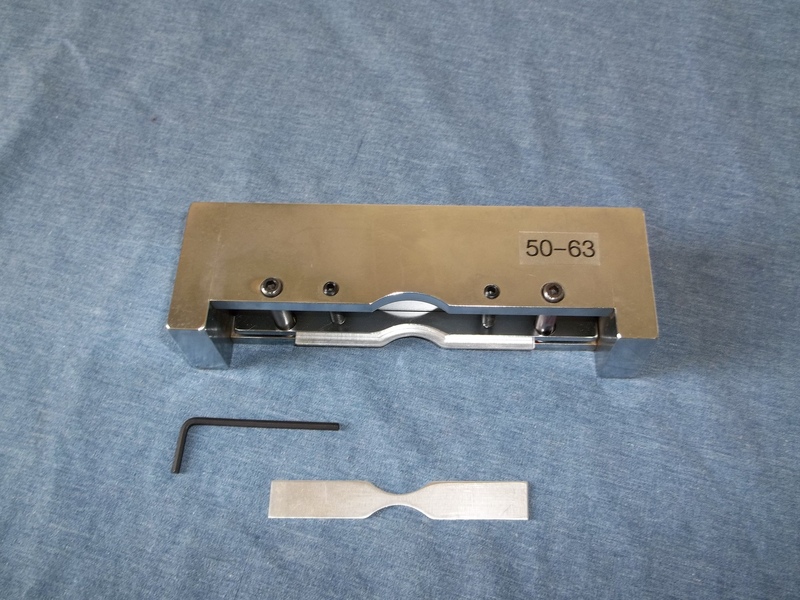 After the gauge section has been cut, the specimen is inserted into the Tensilkut Master Template which cuts the ends square and parallel at 3.13″, in accordance with ASTM D695. 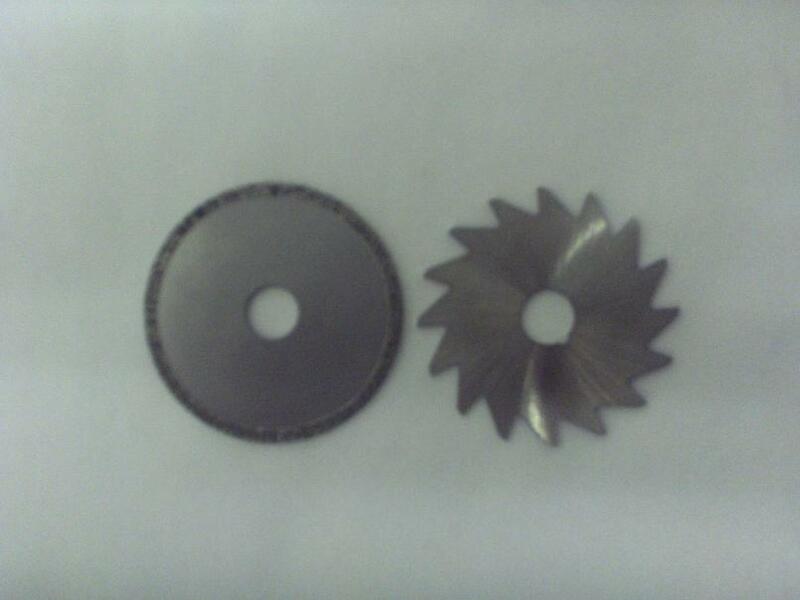 Different templates are available for Tensilkut I and Tensilkut II machines. 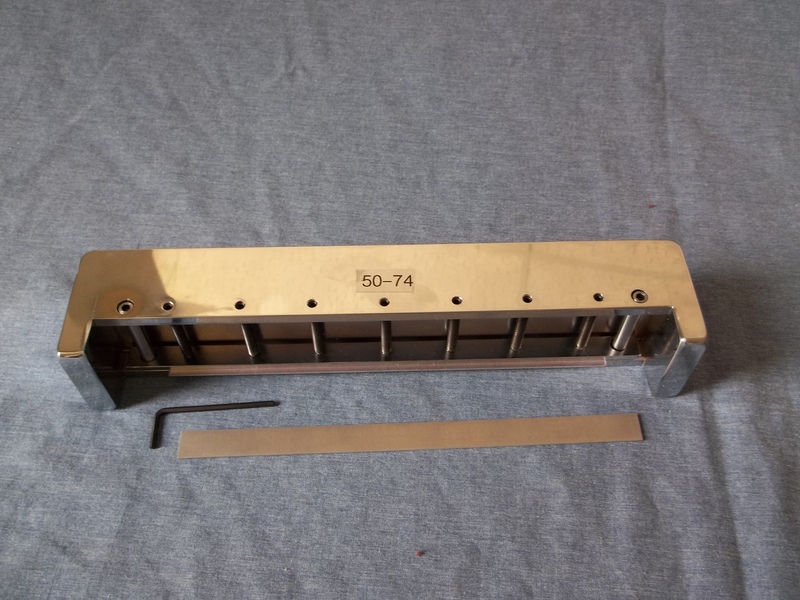 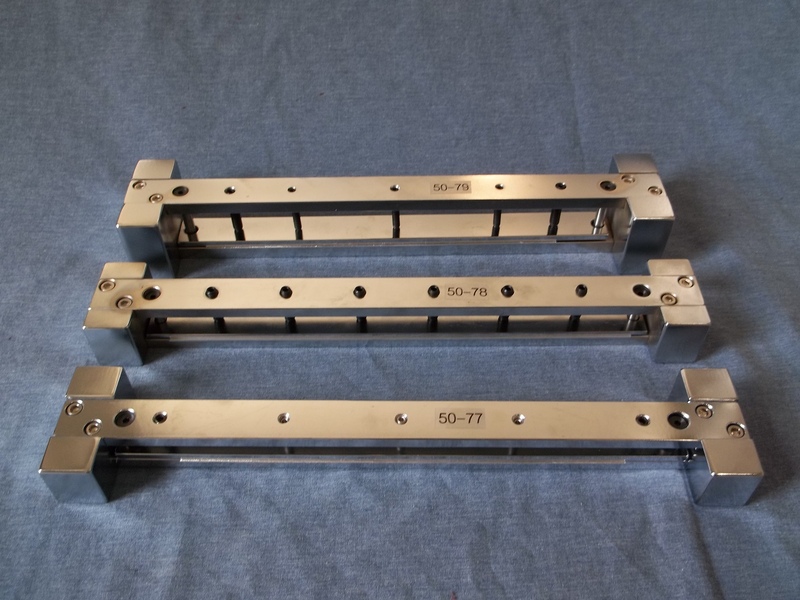 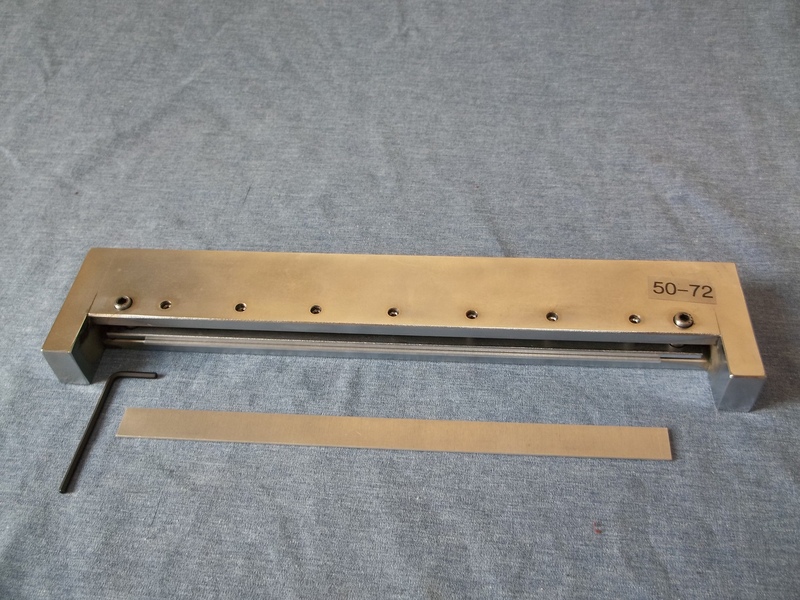 For .500″ wide strips, Tensilkut Master Templates will prepare specimens in accordance with ASTM D790. 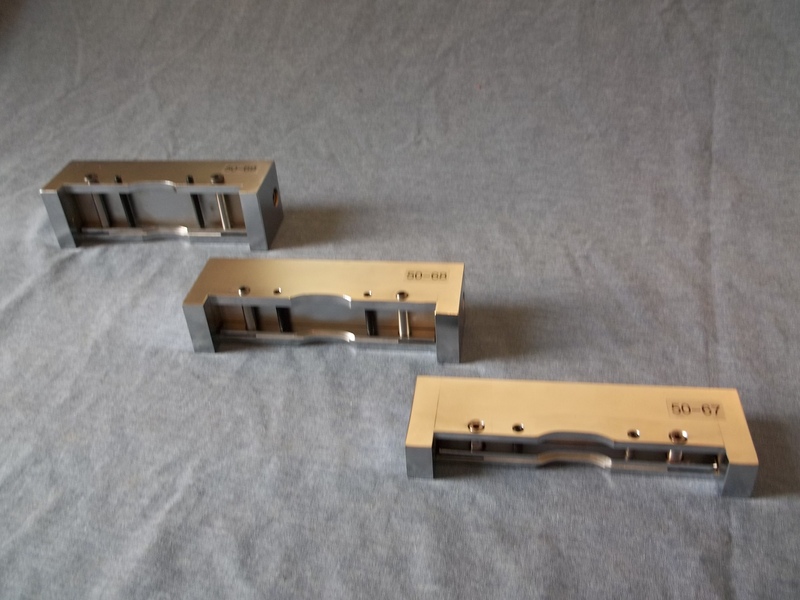 Tensilkut Master Templates for preparing ASTM D790 flexural specimens using all available Tensilkut I and Tensilkut II machines. 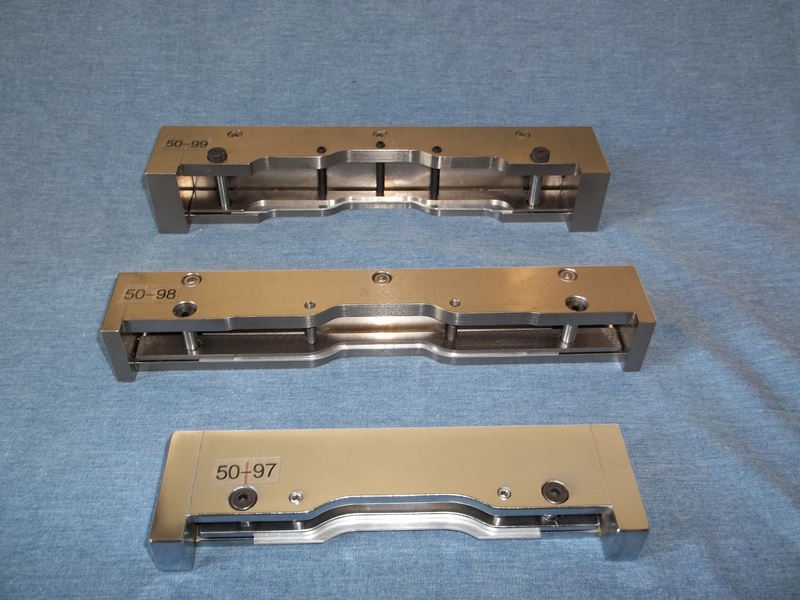 Also available: Templates for preparing 1″ ASTM D790 flexural specimens. 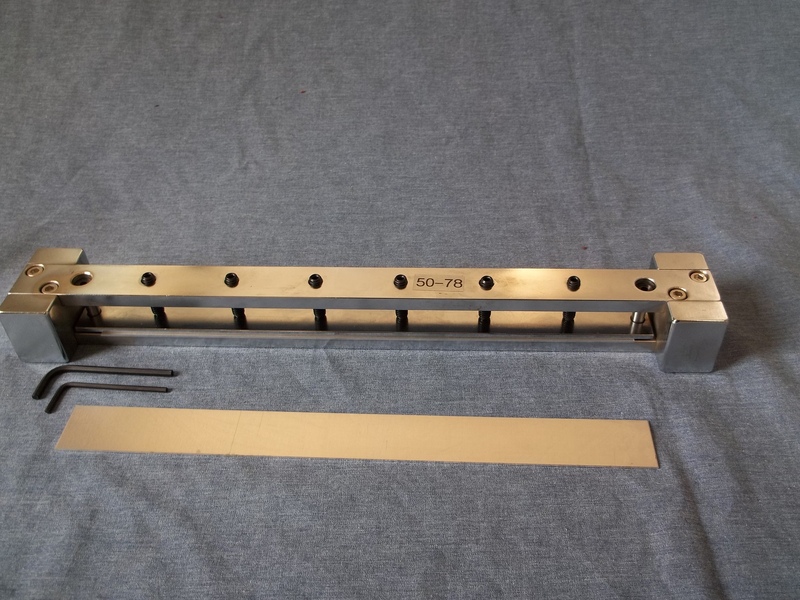 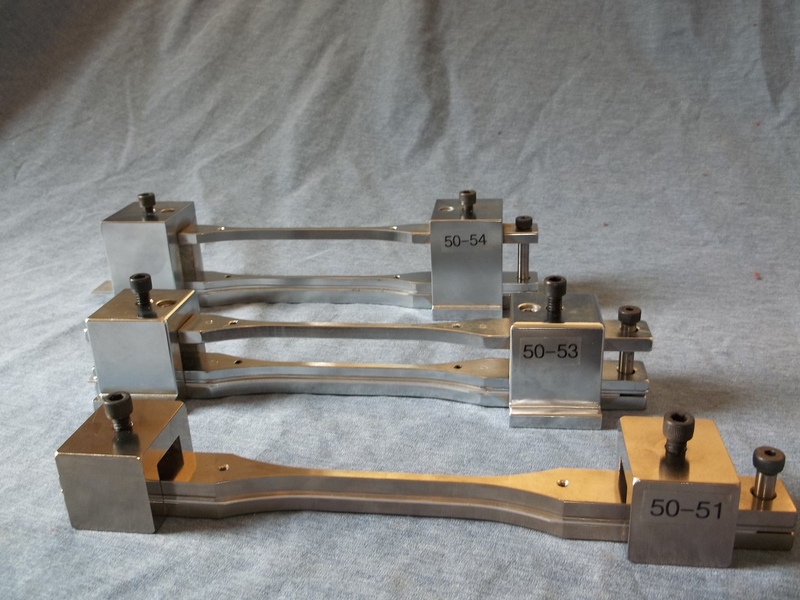 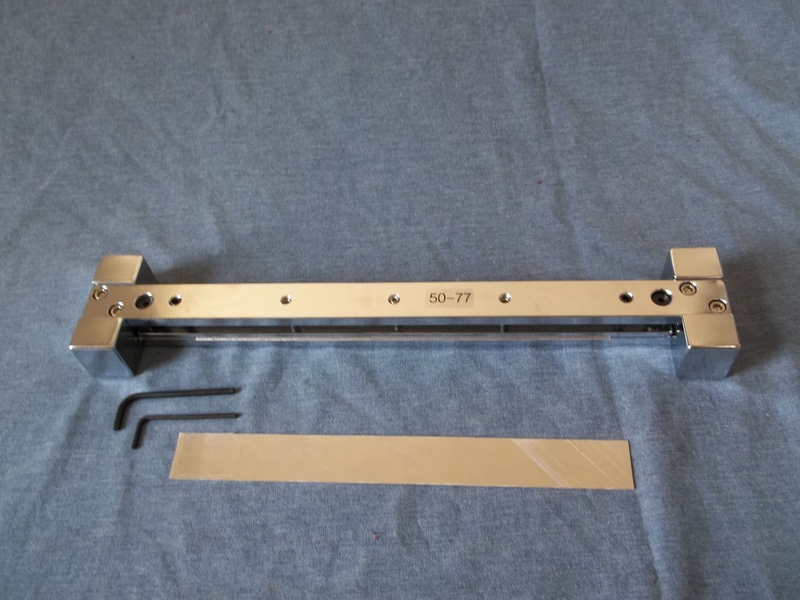 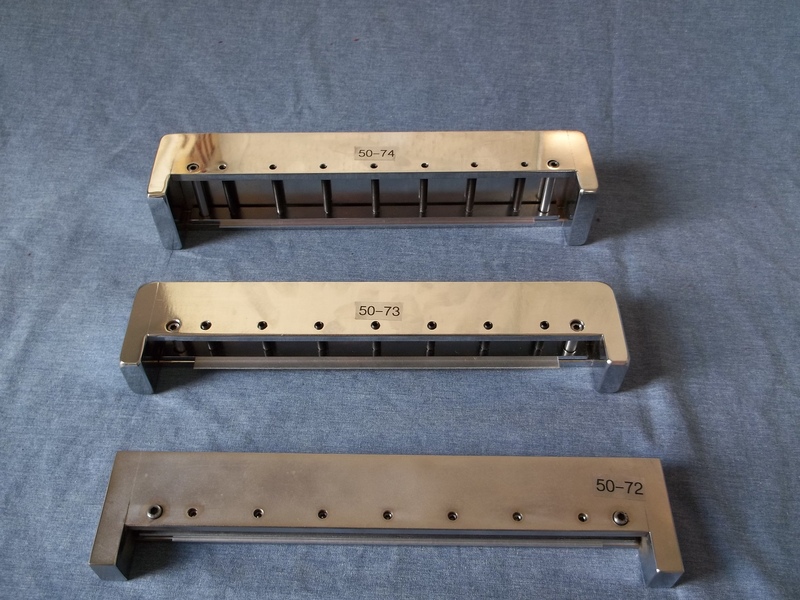 Tensilkut Master Templates for preparing 1.000″ wide flexural bars in accordance with ASTM D790 are available for use on all Tensilkut I and Tensilkut II models. 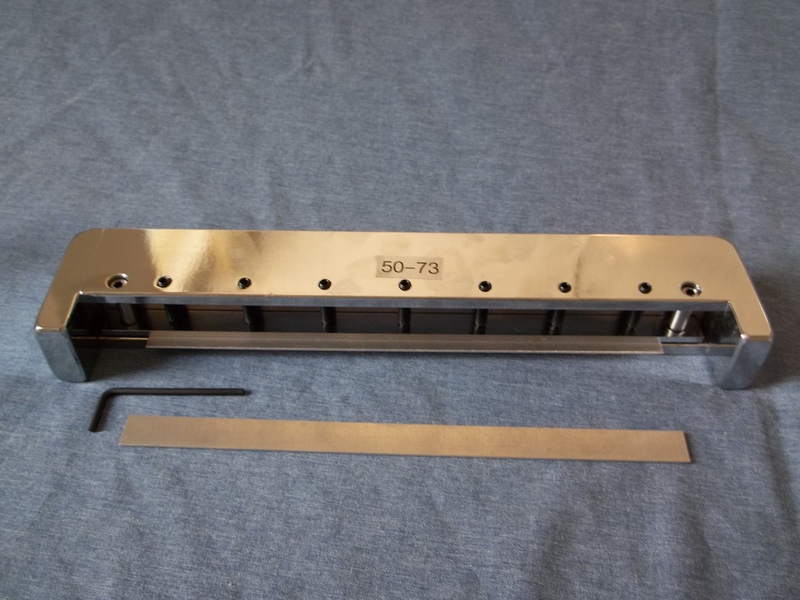 ASTM D1822 Type S Tensile Impact bars are typically used when the available material is too small to prepare traditional impact bars. 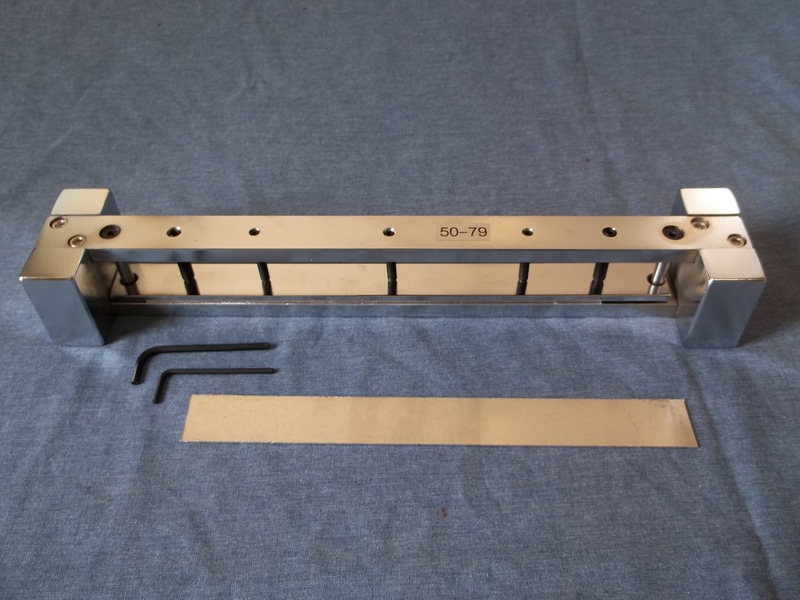 Tensilkut Engineering has a master template to fit every Tensilkut I and Tensilkut II machine which will easily prepare these test bars. 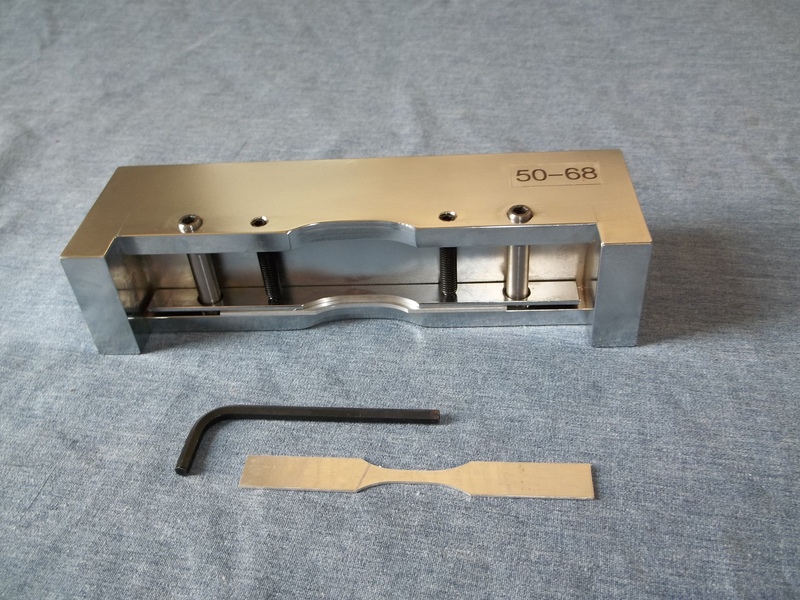 Tensilkut master templates for preparing tensile bars in accordance with ASTM D638 Type II from plastics and other non-metallic materials are available for all Tensilkut I and Tensilkut II models. 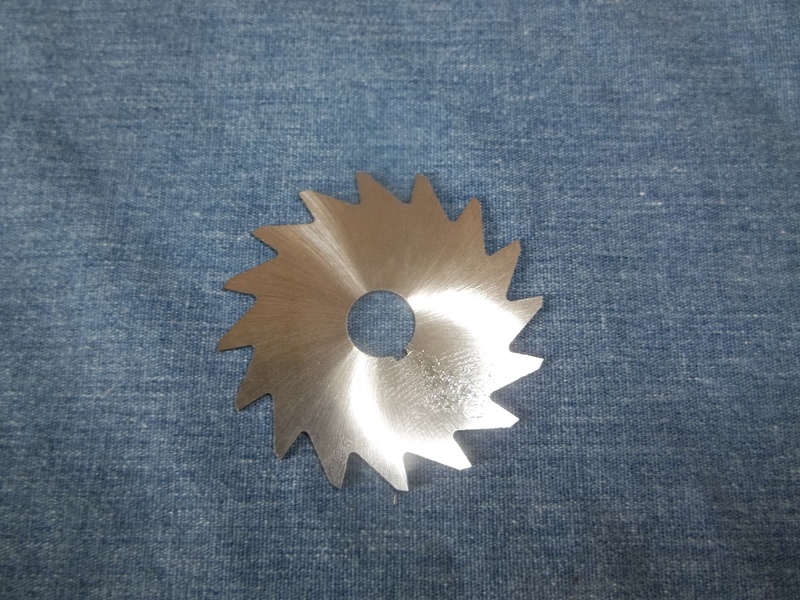 Visit http://www.tensilkut.com for ordering information.